By the time of this photo, I already knew I was not the same as the other boys. 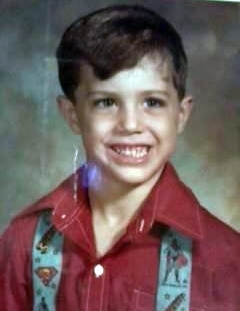 As you can see, I have on my Superman suspenders. Though I didn't really understand it then, I was attracted to Superman. I also wanted to be around construction workers, because I found them attractive, too. Other kids used to call me "Gay Ray." I was not particularly feminine as a child, but the other kids still knew there was something very different about me. This was because of the things I would say, and not being shy about the fact that I enjoyed lots of things typically reserved for girls. 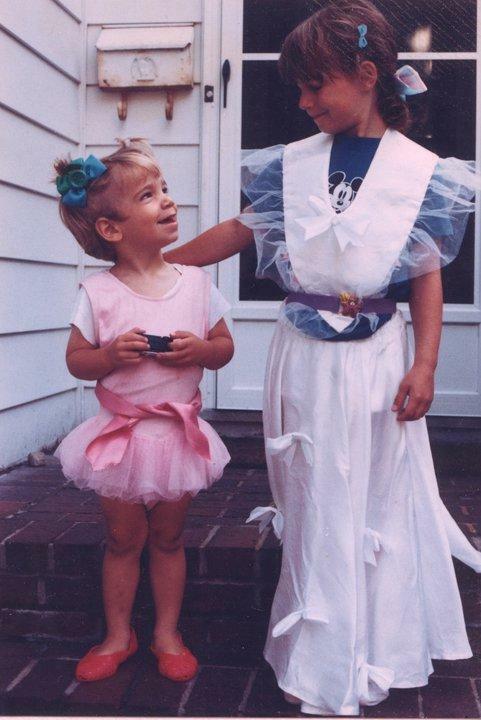 My twin sister used to love to dress me up in her clothes, and we'd run around the neighborhood together. She would introduce me as her "cousin Becky." While my mother was always very encouraging of me expressing myself, my father was not pleased. I had a rough childhood. I cried almost every day and was so confused about what was going on with me. This only contributed to the way that I was treated by the other kids and some family members. I used to pray every night, hoping that God would "fix" me. But every morning I woke up the same. It wasn't until I got into high school that I started making friends with the other outcast kids and punkers. Though life got harder for me in many ways, it always got easier for me to accept myself and to become comfortable with who I am. Today, I'm still not like the other boys. I'm an artist and musician. And maybe one day I'll open a little place that I can proudly call "Gay Ray's"
as an homage to my troubled path. I have very nice memories from this period in my life. I was living with my grandparents, and they spoiled me rotten. And there was a neighbor boy my age, who would pose with me in the same positions as in my uncle's adult magazines. We had no idea what we were doing, but all I know is that I wanted to! I'm now in a 10-year relationship with three kitties, and I work as a nurse. All LGBTQ kids should have happy memories. If not, make up for it later! This picture really demonstrates what kind of kid I was - lively, goofy, and obviously gay. I don't really crossdress at all now, but I remember when my family did this as a joke, I felt some part of it seemed right. It was around this age that I first realized I was different. I was, at the very least, aware that I also liked guys. Especially Tony, the cute boy in my 3rd grade music class. However, I didn't come out until I moved out of my home and started college, a process which was well received by all. Although, it took my parents a bit of time to come around. Today, I live in Ann Arbor, MI with my wonderful partner of nearly two years, and study Art History at E. Michigan University. Be yourselves, and when you are ready, make the leap. Growing up in a family that was all women, I quickly latched on to the one that was closest to me in age. I think I first realized I was gay around 3 or 4, but I didn't know it was called being gay. I always thought I was, then the dreams started. In my head I remember thinking, "Yep I'm gay." All I knew is that guys were what I liked. Girls were just my friends. Leticia and I being born in the same family is no accident. I believe God knew that we would need each other. She was the first person I told I was gay, and the first to understand my fear. She has helped me through life and all its struggles. When I told my mom I was gay this year, I was scared. But she still loves me. I first realized I was different when I was 6, and a game of pretend house that lead to me kissing a girl. I think I knew something was going on with me, considering I was playing the husband. I have always just been one of the guys. I told my mother when I was 14 and my dad when I was 20. It's been a long journey, but I feel that I'm lucky because I have had my cousin Bobby this whole time. We are now 22 and 21, and we talk every day with no boundaries. I lucked out being raised with him, and I know that he feels the same for me. My family loves me no matter what. I am accepted and that's all I ask for. We are lucky to have each other, and a family that never stopped loving us. 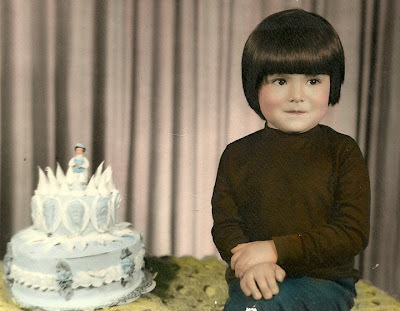 Even though I didn't realize it until I was in my first year of college, my parents knew I was gay when I was 3-years old. 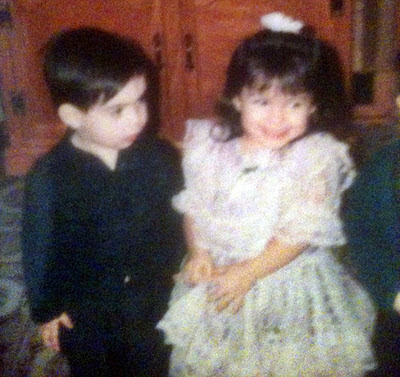 On Christmas Day of 1991, my parents got my sister a dress and got me a tuxedo. I burst out crying when both gifts were opened, because I wanted a dress like my sister's. They returned the tux and bought me a dress instead. And I wore that thing, and my pink jelly sandals, until they both were worn out. As you can see, I was still wearing them both during summer 1992, as seen in my photo. So after all the Barbie dolls, putting on my sister's clothing, and dressing up as a bride in a wedding, I finally realized I was gay 15 years later. 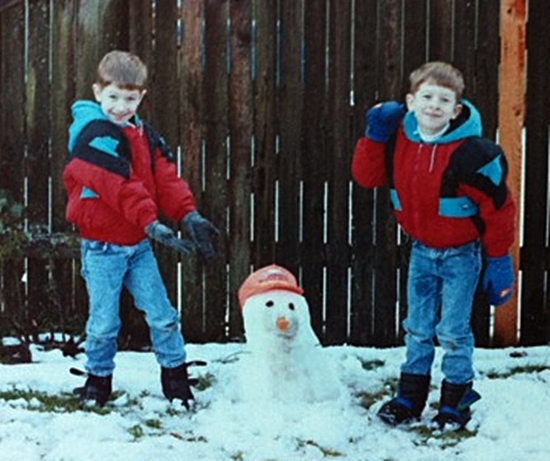 I'm here on the left with my twin brother, Matt. I guess my experience has been different from most others, in that I didn't really realize that I was gay until probably middle school. Even then, I wasn't ready to admit it to myself or anyone else until I was a senior in high school. "How did you all NOT know we were gay?" Especially when we spent so much time playing Cinderella - and need I even mention my purple My Little Pony, which was my most prized and beloved gift on Christmas day in 1987? My brother and I have been really lucky to have a supportive family and friends. And thankfully, we haven't experienced any of the nightmare scenarios you too often hear about, when people begin the process of coming out. Maybe if we'd stayed in the Mormon church, things would be different. But we stopped attending when around 8-years old, and we haven't looked back. Growing up, I never thought that if I came out as gay, that my mom would soon be saying to me, "You should go talk to that cute gay guy at Starbucks." But she did. And kids, it really does get better - so hang in there!